The North American Taiwanese Women’s Association 2nd Generation (NATWA II) invites you to attend the 2010 NATWA Annual Convention in Toronto, Ontario, Canada! *Early registration ends March 15! 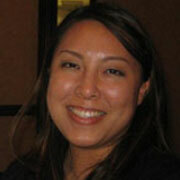 9am-10am: Keynote Speech – “Slow Food: Good for U for the Environment” by Monique Lee Hawthorne, Esq. Ruth is lead dietician in the Mental Health and Metabolism clinic at the Centre for Addiction and Mental Health, the largest hospital providing psychiatric and addiction treatment in Canada. She provides assessment and counseling to clients on basic healthy eating and diabetes management as well as expert consultation to the other clinical programs and health professionals at CAMH. Ruth has also played an instrumental role in planning and providing educational workshops to the community at large regarding the management of diabetes, metabolic diseases, and the effect of novel antipsychotic medication on metabolism. Before starting her work at CAMH, Ruth worked with geriatric patients in a rehab setting, and she also had a chance to live in a small town in Northern Ontario for a couple of years, where she worked with people with diabetes. Ruth is currently involved in ground-breaking research in the area of mental health and metabolism. Alice is an architect and became a principal with the firm Montgomery Sisam in Toronto in 2006 in recognition of her extensive, 20+ years experience in health care planning and design. She has developed unique experience in working with client user groups to ensure that their needs are successfully integrated into the final design. Alice led the design team for the Master Plan and Phase 1 of the redevelopment of the Centre for Addiction and Mental Health, a 27-acre multi-use healthcare, research, and academic “urban village” in downtown Toronto. She has established an international network with healthcare professionals, architects, and designers to share the latest research and knowledge in best healthcare design and evidence-based design. 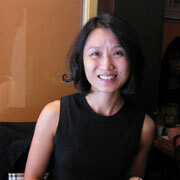 She is a member of the International Advisory Board for the Academy for Design and Health, based in Stockholm, Sweden. 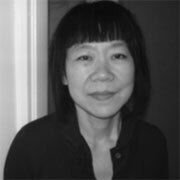 Alice received her Bachelor of Architecture from the University of Toronto in 1977 and is a member of the Ontario Association of Architects and the Royal Architecture Institute of Canada. 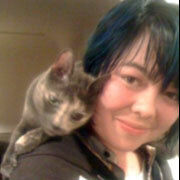 Alice is a Licensed Clinical Social Worker (LCSW) and musician living in San Francisco. Alice received her Masters in Social Work (MSW) from Columbia University in New York and her Bachelors (BA) in Ethnomusicology from UCLA. She currently works at the Mental Health Association of San Francisco as the Director of Professional Education, and has expertise in providing treatment to survivors of trauma (including domestic violence, sexual assaults, gun shot wounds, and people who have lost a loved one to homicide). Alice has gained a wealth of experience working in hospital, academic, and non-profit settings, including the UCSF Trauma Recovery Center, San Francisco General Hospital, and Sanctuary for Families (Bronx, NY). As a clinical social worker, her skills include providing therapy, case management, and developing social service programs from a holistic perspective that promote mental wellness in individuals and communities. As a musician, Alice is an indie-folk singer-songwriter. Her vocals are inspired by jazz, soul, and blues, and her piano, guitar, ukelele, and harmonica playing are influenced by indie folk rock, jazz, and alt country. She will be releasing her album of all-original songs in May 2010, which was recorded in Los Angeles with producer Glenn Suravech (assistant engineer for multiple artists including Bob Dylan, Jackson Browne, Brett Dennen, Wallflowers, Billy Bob Thornton, Liz Phair, etc. ), and a host of extremely talented musicians. Alice’s music has also been featured in independent films and she has performed in venues throughout the United States. 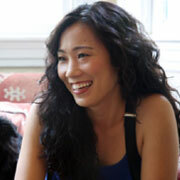 For more on Alice’s music, join her facebook fan page at www.facebook.com/alicetongmusic and explore her website at www.alicetongmusic.com.